The new 2017 Nissan Altima boasts exciting performance features to power your commute through Puyallup and beyond. Equip your new Altima with your favorite engine option and other performance specs, and then drive off the Puyallup Nissan lot in comfort today. Get the details by reading on, and then swing by our dealership to take the new Altima out for a test drive today. Engines – The Altima offers drivers a choice between two impressive engines. Choose a 2.5L DOHC 16-Valve 4-Cylinder engine that gives you 179 hp and 177 lb-ft of torque, or opt for a 3.5L DOHC 24-Valve V6 engine that promises as much as 270 hp and 251 lb-ft of torque. Xtronic CVT Transmission – The Altima runs on a Xtronic Continuously Variable Transmission system that’s able to provide you with step shifting, wider gear ratio coverage, and an adaptive shift controller. Efficiency – In addition to this, the Altima boasts Tier 2, Bin 5( LEV3-SULEV30) emissions, or a Tier 3, Bin 125 rate, depending on the trim you choose. Depending on your performance configuration, your Altima can achieve fuel efficiency ratings as high as 39 mpg on the highway and 27 mpg in the city. 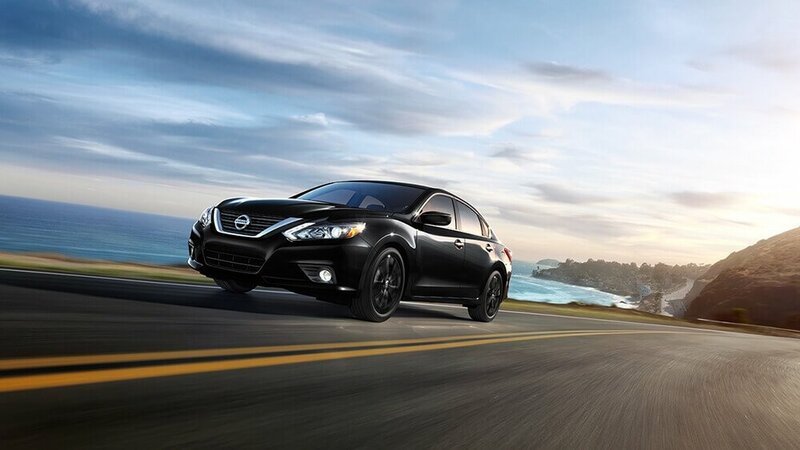 Paddle Shifters with Manual Mode – Choose between automatic transmission or paddle shifters in the Altima. The second is particularly exciting, making it possible for you to rely on a manual mode for a more forceful automotive experience. Suspension Systems – The Altima gives you a multi-link independent rear suspension system. However, you get the choice between a sport-tuned suspension and ZF Sachs shock absorbers. Swing by Puyallup Nissan to test drive the 2017 Nissan Altima today. Call us at (253) 848-4507 to talk to our friendly staff and schedule your test drive of this exciting new Nissan model. Or, contact us online to ask any questions and arrange an appointment with a sales representative. Be sure to explore our financing packages before you come in so you can see how much you can save on your new Altima. We look forward to hearing from you soon at Puyallup Nissan!